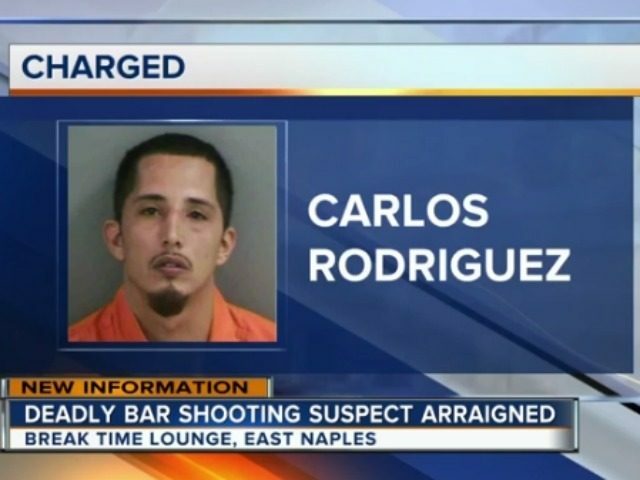 06 Sep, 2017 by	Margaret M.
A grieving father in Florida has now revealed who murdered his daughter outside of a bar in Naples: Carlos Rodriguez, a convicted, illegal alien who is under protection by the Deferred Action for Childhood Arrivals program. The man, Curt Engelsen, called up the columnist Howie Carr to describe the details he had learned surrounding the murder of his 24 year-old daughter Kelsey Engelsen. Rodriguez had been previously reported to have been charged with a second degree murder after Kelsey’s death after he had gotten into a fight with another man, where the nearby Kelsey was shot and wounded due to the altercation. Kelsey’s boyfriend said he had heard that there was an argument and that Rodriguez started “spraying bullets,” one of which hit and killed Kelsey. Kathryn Steinle was 32 when she was murdered by Juan Francisco Lopez Sanchez, an illegal immigrant who had been deported five times with a rifle stolen from a federal agent. At the time, he had already served 17 years for entering America illegally and had four felony drug convictions. After a stray bullet fired by Lopez killed Steinle as she walked on the pier with her father in San Francisco, her name and the cause of cracking down on all kinds of illegal immigration activity became a major plank for Trump to stand on during his campaign. ICE needs more support from the government to do their job and one part of that job is to deport the illegal immigrants that live fairly peacefully. Even peaceful illegal aliens are breaking the law. Legal visitors to America know that their presence in the country is based entirely on the good graces of the American government and whatever mood the border guards happen to be in that day. If you are not an American, you do not have the same rights as Americans. The average age of DACA recipients is 22 and only .02% of DACA applicants are interviewed by the US Citizenship and Immigration Services. Compare that to legal visitors, who if traveling by plane are always questioned and x-rayed and checked out before being granted permission to enter. It is a myth that all DACA recipients are fully background-checked. And even stranger is the weird push by the left to try to prove that DREAMers are all near-millionaires. While outlets like FOX were reporting on the murder of Kelsey, it took her father to call up a conservative Internet columnist to get the real story out there. 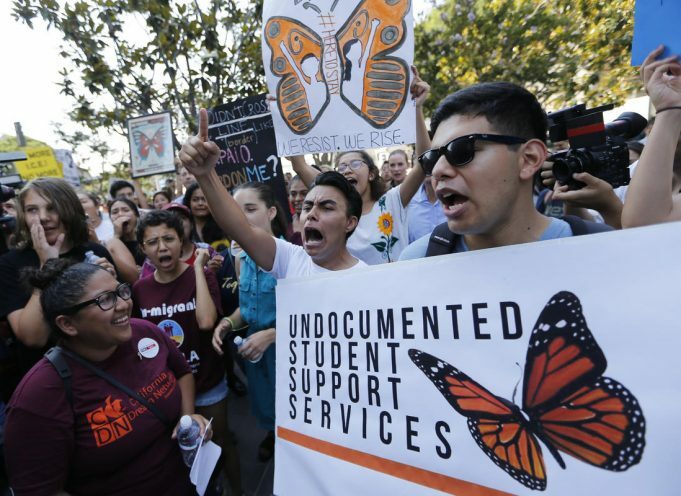 Undocumented, illegal alien students rallied in support of keeping the Deferred ACtion for Childhood Arrivals program in Los Angeles on 1 September 2017.